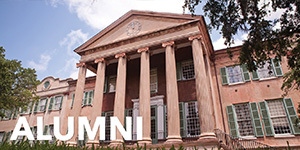 Transfer students must have been admitted to a degree granting program of study at the College of Charleston and paid the $100 tuition deposit. Current Free Application for Federal Student Aid (FAFSA) is available October 1. The 2017 Federal Tax Return data will be used to complete the 2019-2020 FAFSA. 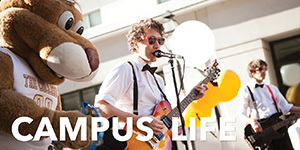 The priority deadline to apply for the fall semester is March 1. 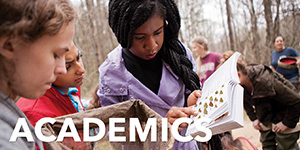 Applications submitted after June 1 for the fall semester or November 15 for the spring semester will be processed; however, aid may not be available by the first day of classes. If you have already filed a FAFSA at your current school you need to go to www.fafsa.ed.gov and request that a copy of the FAFSA be sent to the College, school code 003428. After completing the FAFSA, the student will receive an email that the FAFSA was received. Then once the FAFSA is processed another email will be sent and include the Student Aid Report (SAR) summarizing the information reported in the FAFSA. The SAR allows the applicant to review the information and make any necessary corrections. It also will relay messages about aid eligibility from the Department of Education. Read the comment section carefully to determine if any further action is required. If you need to make corrections log back into your FAFSA account to do so. If any of the aforementioned does not match on both systems it may prevent CofC from loading your FAFSA information and processing your financial aid application. Send a written notice to the financial aid office at your prior school to cancel any scheduled awards for future terms. If you had student loans at your prior school, you will have to complete an exit interview on those loans. Contact the financial aid office at your prior school for procedures on exit interviews. Your Federal financial aid award at the College will be based on the academic credits that have been accepted and posted as of the day your financial aid award is made. Late transfer credits may result in higher loan eligibility. You may request a second loan eligibility review, once all transfer credits are posted. 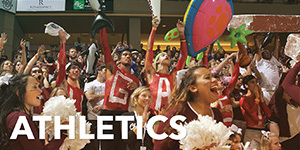 All transfer students who were legal residents of S. C. when they graduated from high school and who are seeking their first undergraduate degree, must have their high school transcript sent to the Office of Admissions (even though it may not be required for admission purposes) in order to be considered for the HOPE, LIFE or Palmetto Fellows Scholarship programs. If you are currently a SC Palmetto Fellows recipient, you need to call the SC Commission on Higher Education at 803-737-2262 and request a Palmetto Fellows Transfer Form. If you are a member of the Phi Theta Kappa Honor Society, you may apply for additional scholarships. The deadline to apply for the College of Charleston Phi Theta Kappa Scholarship is April 1. Additional outside scholarships for member of Phi Theta Kappa Honor Society can be found here. The Jack Kent Cooke Foundation Undergraduate Transfer Scholarship honors excellence by supporting outstanding community college students with financial need to transfer to and complete their bachelor’s degrees at the nation’s top four-year colleges and universities. Generally, undergraduate students are not admitted to degree-seeking programs in the summer terms. 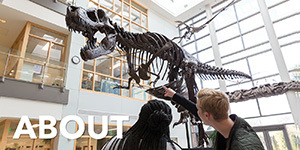 Graduate degree candidates admitted in the summer who need financial assistance must meet the April 15 priority deadline for summer school financial aid applications and have the FAFSA on file for both the preceding and upcoming academic year. If you have applied for aid this year at the College of Charleston and you now plan to transfer to another institution, you should submit a written request that we cancel any scheduled awards for future terms once you are certain of your plans to transfer. 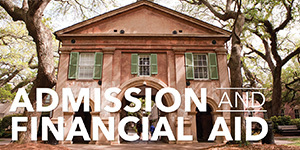 If you received student loans at the College of Charleston, you will have to complete exit counseling on those loans. Once we receive your request to cancel scheduled future term disbursements, we will set a financial aid requirement in MyCharleston for the exit counseling and you will have a link that will take you to the site to satisfy the exit counseling requirement(s). It normally takes five business days for us to receive confirmation that you have successfully completed the exit counseling. Go to www.fafsa.ed.gov and add the new school to the list of schools to receive the FAFSA data. Check the website and/or contact the school’s financial aid office to determine what other documents may be required in addition to the FAFSA and what additional steps you should take.